Golf News is the UK’s most widely-read free golf publication, and is being read by more UK golfers than ever before, following a significant increase in its distribution channels over the last 12 months. 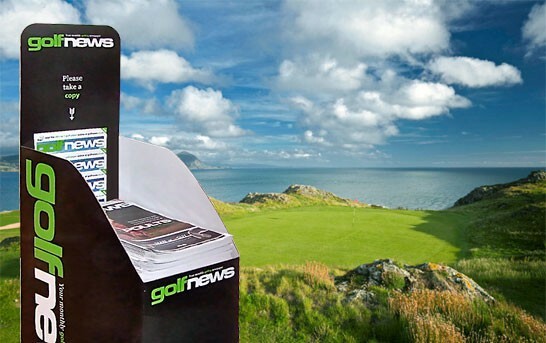 While many of the paid-for golf titles are reporting dips in their subscription numbers and overall circulation figures, Golf News continues to grow its readership, with distribution of the printed version growing by 20% in 2014, while the popular digital version saw an increase of over 50% in its readership. The accessible and user-friendly web-based magazine has proved a hit with club golfers and industry professionals alike, and has helped Golf News to reach a wider and more targeted audience than ever. This upward trend looks set to continue in 2015 and beyond, with the next stage of the magazine stand and counter top roll-out programme which will see Golf News displayed more prominently in even more clubhouses, pro shops, golf resorts, high street golf shops and hotels throughout the UK. Golf News will continue to do what it has always done – provide topical news and exclusive features that are relevant and interesting to club golfers.